Indispensable may be the only word that categorizes the new WORX ZipSnip. This compact, one pound cutting tool makes scissors obsolete, as it literally cuts through hundreds of materials around the house, workshop and yard. ZipSnip mows through annoying plastic clamshell packaging like butter, keeping hands and fingers out of harm’s way. It’s a real time saver that zips through holiday paper when wrapping multiple gifts. ZipSnip features a 1 ½ in. diameter, self-sharpening, hardened-steel blade that’s powered by a 4V internal lithium–ion battery. Like a miniature circular saw, the blade is enclosed in a blade guard. A built-in cutting guide ensures precise straight, contour or curved cuts. The blade operates at 260 rpm (no load) and its maximum cutting thickness is ¼ in. The ergonomically designed cutter is constructed of high-impact nylon resin with a comfortable overmold grip. The tool’s trigger is an integrated part of the handle with a top-mounted lock-out switch for added safety. The cutter has a built-in charging port that brings the tool to a full charge in five hours. An LED indicator on the tool’s body illuminates when the battery is fully charged. The lithium-ion battery has no memory effect and can maintain a charge for several months. ZipSnip effortlessly cuts straight, curved and contour lines without taxing the user, which often is the case when using manual shears. It cuts cloth, leather, corrugated cardboard, vinyl sheet goods, landscape fabric and rubber liners, such as those used in backyard ponds. It even cuts though chicken wire and many other materials. ZipSnip also reaches into areas where it’s difficult to wield a pair of scissors. 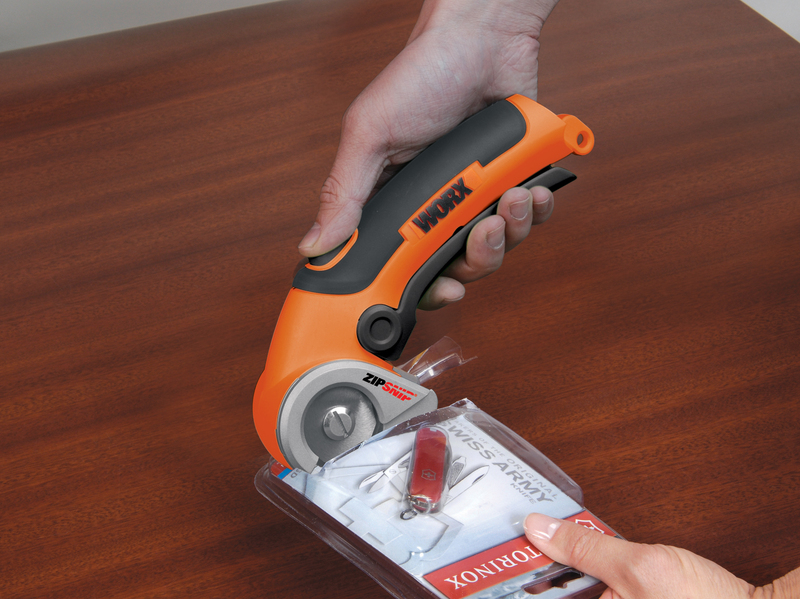 The WORX ZipSnip (WX081L, $37.99) is available at worx.com and online at Walmart and Amazon. A 2-pack set of replacement blades (WA2300, $9.99) also are available. 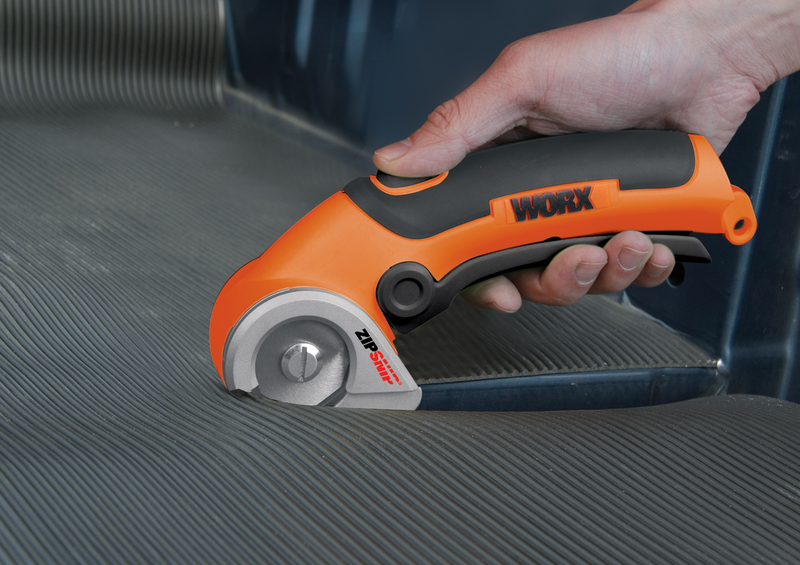 The tool is covered by the WORX 3 year warranty.